Newcomer Family Obituaries - Constance A. 'Connie (Auntie)' Foster 1938 - 2019 - Newcomer Cremations, Funerals & Receptions. Constance " Connie" A. 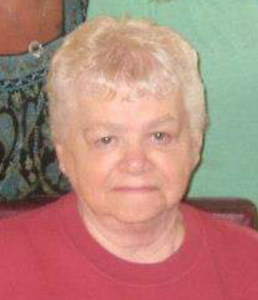 Foster, 80, of Akron, passed away on Monday April 8, 2019. She was born in Akron, Ohio on July 29, 1938. She was preceded in death by parents Wilfred and Emma Frame; in-laws, Fred and Myrtie Foster; sisters, Joan Hill and Betty Berry; step-children, Connie Foster-Lewis, Ronald Lee Foster, and Kathy Sue Ramey; and great-granddaughter, Summer Michelle Goudy. Left to cherish her memory are her husband of 51 years, Fred Foster; daughter, Chris (Mike) Goudy; son, Wayne (Pam) Foster; daughter, Lee Ann (Gregg) Clay; sister, Kathy Clark; brother, Bill (Doreen) Frame; grandchildren, Michael (Karla), Ronald (Karissa), Jennifer, Brandi (Chad), Sydney (Jon), and Emily; numerous great-grandchildren, and great-great-grandchildren; and all the family and friends who knew and loved her as "Auntie". Friends and family are welcome to visit on Sunday April 14, 2019 from 2pm until 4pm at Newcomer 131 N. Canton Rd., Akron. A memorial service will take place at 4pm. Add your memories to the guest book of Constance Foster. To Lee Ann, Gregg and daughters Brandi and Emily - our deepest sympathy goes out to your family at this time. I know how close you all were to her. Cherish the memories we know she surely will be missed.